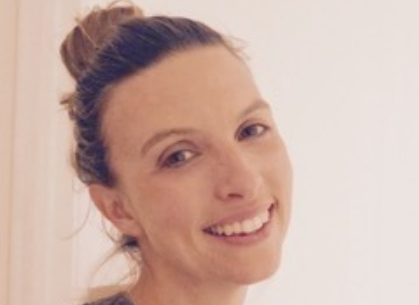 Nicole Croft is a UK based hatha flow yoga teacher. & has been teaching for 15 years and practicing for more than 20. Originally from Australia but brought up in South East Asia, she has had a life long fascination with Eastern philosophy and spirituality. As well as over 500 hours of teacher training, she has done two diplomas in Buddhist Philosophy & Thought as well as numerous courses in both traditional meditation and mindfulness, all of which she weaves into both her practice and her classes. Nicole’s yoga style is strong, dynamic and playful. She is influenced by her in-depth study of many styles of yoga, from an early immersion in Ashtanga to Scaravelli during her three pregnancies, and more recently vinyasa flow.